"In the Toronto garden suburb of Don Mills, 1960s ranch bungalows are being replaced by historically referential and massively clumsy “monster” houses of beige brick, taupe stucco and reconstituted stone, the new ideal suburban dream home. Complemented by decorative and ornamental landscaping they are the antithesis of their modernist predecessors. 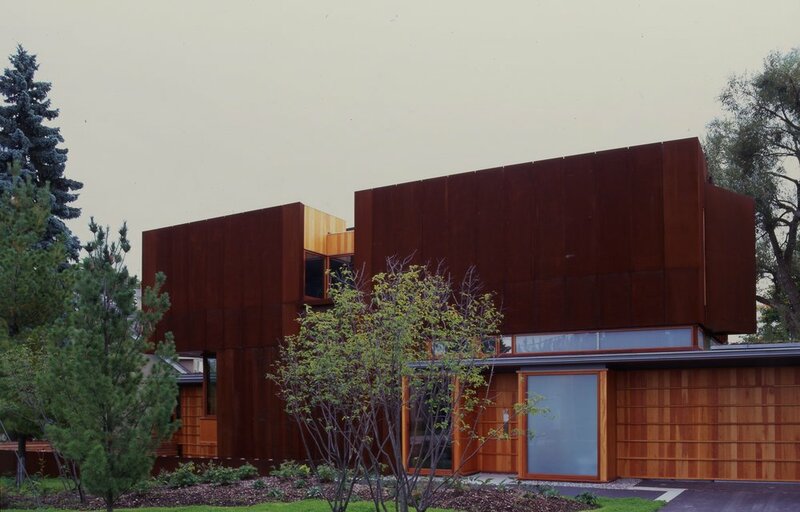 This private residence by Shim-Sutcliffe sits in direct contrast with its materially rich, dark, and abstract composition of oxide red weathering steel. 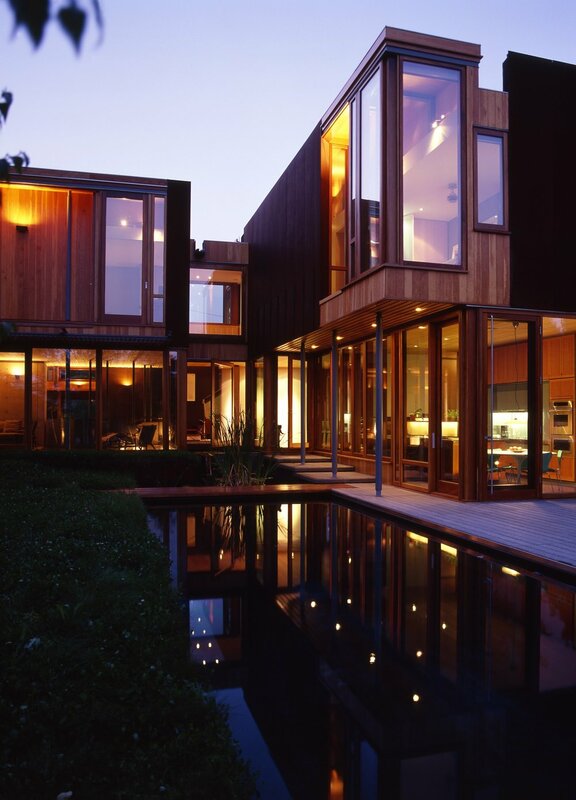 The L-shaped house frames a reconfigured landscape created around shaped, tree-covered mounds and a sweeping meadow. Embedding itself into the centre of the house, the linear linked reflecting pool and swimming pool form an intermediary zone between building and landscape, weaving reflected light, motion and sound into the heart of the project."